Tohnichi America is a subsidiary of Tohnichi Mfg. Co. Ltd. of Tokyo, Japan (est. 1949). 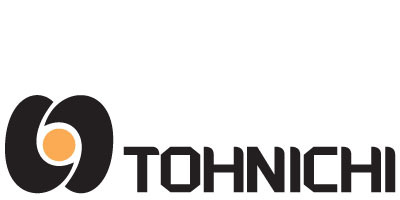 Tohnichi is a premier manufacturer and supplier of industrial quality torque tools and measuring equipment. Tohnichi America was established in 1984 to support sales and service in North and South America. We first earned a reputation in the auto industry as a leader in torque innovations among the major Japanese automotive manufacturers. Tohnichi has a wide range of torque products that service varying industries including: automotive, aviation, medical, construction, and maintenance. b)Through our vast knowledge and experience in the torque industry, we are able to provide additional services including: theoretical information, application assistance, training seminars, and testing facilities. We strive to create innovative products beyond our customers’ expectations. We are constantly developing new products that are at the forefront of technology, making Tohnichi the leader of innovative torque products in the world. We offer high quality and highly accurate products, which contribute to the overall value for our customer. By implementing bolt tightening systems our customers increase their productivity, product quality, worker efficiency, and their overall product reliability.